South Africa’s first Green Coast Status was awarded to the City of Cape Town’s Blaauwberg Nature Reserve on Friday (September 14), in recognition of its commitment to preserving the unique flora and fauna along the coastline, whilst providing opportunities for sustainable tourism, environmental education and the empowerment of local communities. The Wildlife and Environment Society of South Africa (WESSA), the national implementer of the Green Coast Programme, presented the first official Green Coast Status flag to the City’s Environmental Management Department (EMD) and its implementing partner, the Friends of Blaauwberg Conservation Area, during a special ceremony. WESSA will review the status annually. “This award has certainly put our beautiful coastline on the tourism map and we are looking forward to welcoming more visitors to our nature reserve who are looking for experiences in adventure, outdoor living and ecotourism along our coastline,” said Councillor Brett Herron, Mayoral Committee Member for Transport and Urban Development. Blaauwberg Nature Reserve is in an area that includes 2 000 hectares of pristine coastal landscape, and boasts seven kilometres of coastline. 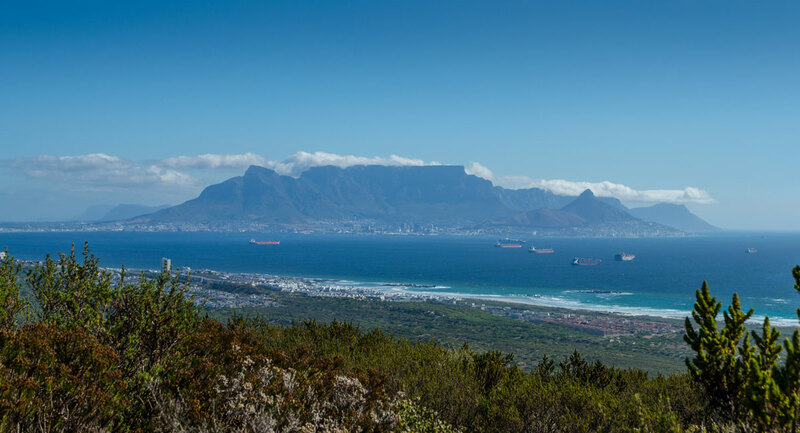 The reserve is home to endangered vegetation and the Blaauwberg Hill, which is one of the few viewpoints in the world where one can view two World Heritage Sites – Table Mountain and Robben Island. More than 200 plant species have been identified within the reserve during extensive studies undertaken by volunteers from Custodians of Rare and Endangered Wildflowers. The Coastal Walk Flower Guide contains photographs and descriptions of the various flowers that visitors can see when walking the Coastal Dune trail, depending on the season. The Green Coast Status complements the International Blue Flag programme as it allows municipalities to sustainably manage coastal sites outside traditionally developed swimming beaches. WESSA developed the Green Coast award to recognise rural coastal sites that are managed according to standardised criteria and are able to maintain a consistent improvement of conditions at the site. Green Coast sites aim to protect at least one of three main coastal themes, namely, sensitive habitats, sensitive species and cultural heritage. “The WESSA Green Coast Programme aims to empower local communities through incentivising effective conservation and environmental education initiatives,” said Robert Slater, WESSA’s National Coastal Coordinator.